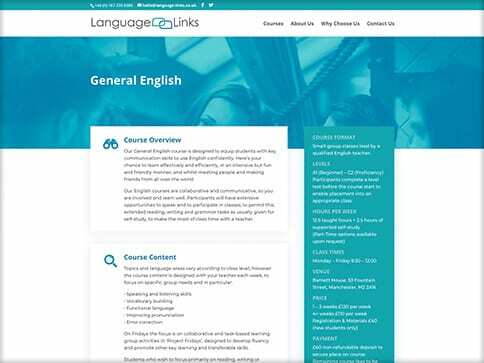 Language Links is an expert language centre, specialising in English courses (EFL) in Manchester and online. Nettl of Stockport’s challenge was to create a visual identity starting from there existing logo design. Working closely with them Language Links, we developed the branding and print collateral which followed common design themes and colour palettes. 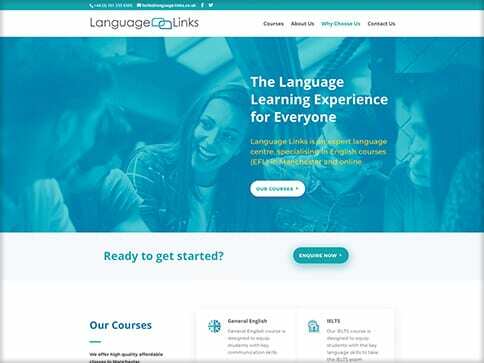 This branding gave us a great template to create a brochure site which clearly explains to prospective students what courses Language Links offer, and how to get in contact. 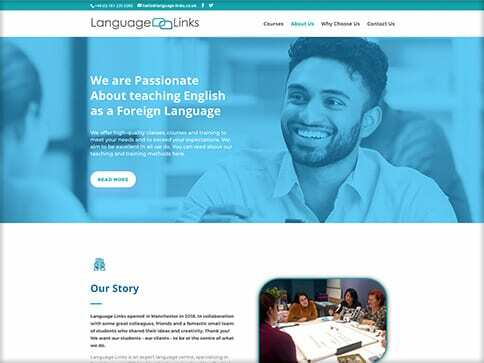 Nettl of Stockport developed this website allowing Language Links to ‘scale up’ to an ecommerce booking website in the future.